It needs a cover, like all novels. 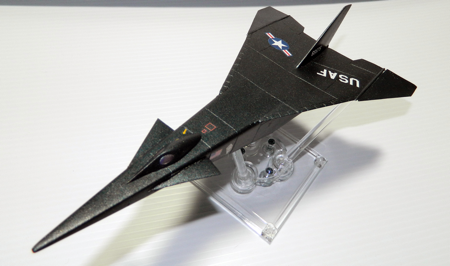 About a year ago I acquired a resin limited-run model kit from Fantastic Plastic that was a speculative look at what might have been if the X-15 rocket plane program had continued into the late 1960s. 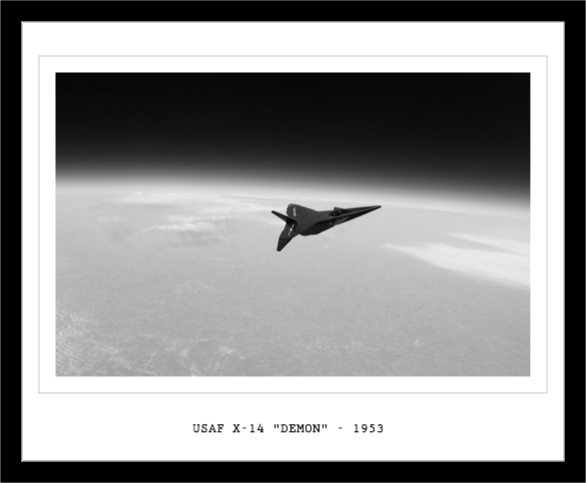 The kit of the X-15-D was mastered by Scott Lowther, editor/publisher and primary author of the Aerospace Projects Review and one of the authorities on concept aircraft and spacecraft. It was cast by BLAP Models and included decals by JBOT, both legends in the garage-kit space model kit business. The kit was beautifully done, both in design and in execution. It was pretty a pretty simple build, especially because I didn’t want to include landing gear. Instead, I filled in the landing gear wells before painting. I had to make a couple of changes. 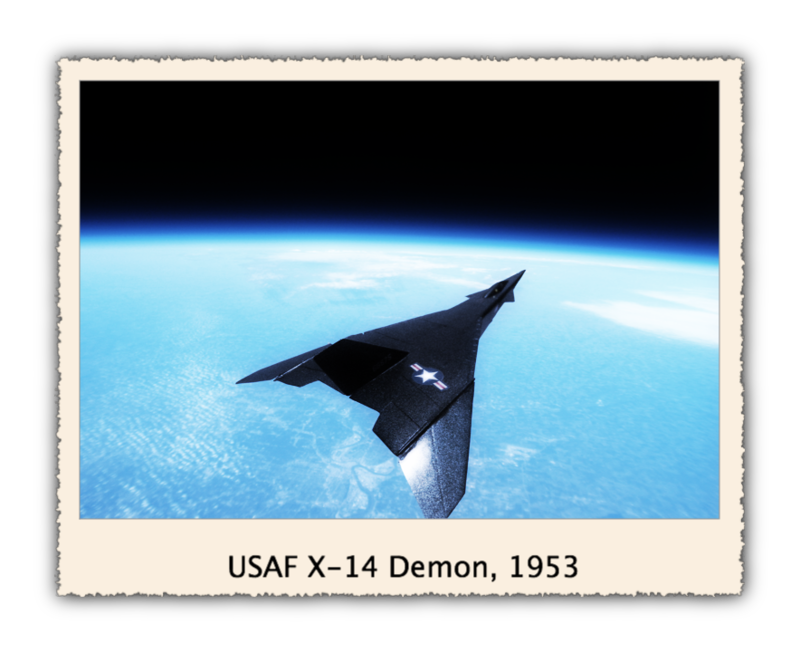 First, the X-15 was covered in Iconel-X, a very temperature-resistant nickel-based alloy, and it was usually painted black. (On one flight it was coated in a heat-shedding ablative coating that was bright pink; the pilots refused to fly a pink airplane so white paint was applied over the coating before flight.) The Demon’s skin was made of a cermet, a ceramic-metallic composite material that had a rather unusual origin – you’ll have to read the book! Anyway, the cermet wouldn’t look purely metallic, or purely flat black, so I painted it black and dusted it with silver and blue shades to give it a hint of a different color. I hope I did Scott and the folks justice in building this model. It’s a cool design. 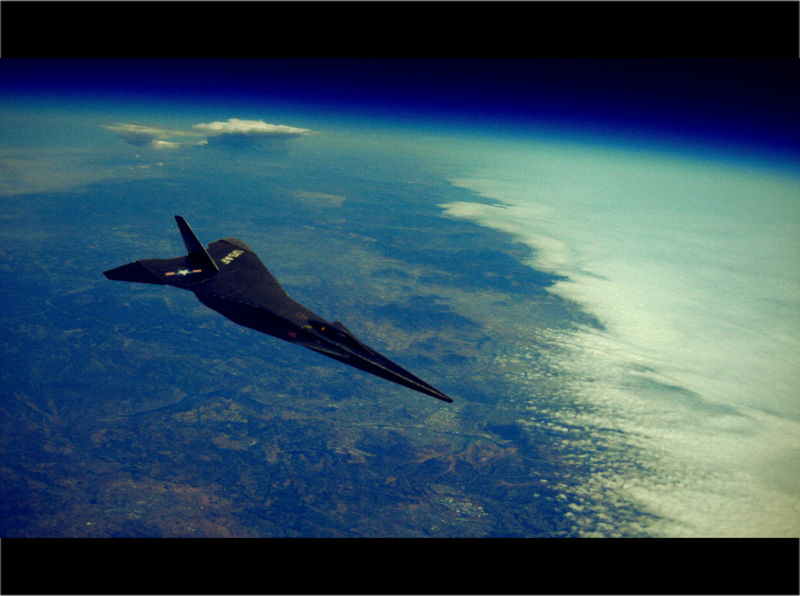 I can’t just put the plane on the cover like this, though – I wanted to make it look realistic, as if it was in flight. I have very little of a real artistic hand, but I started fooling with a few tools and came up with a few possibilities. These are probably not what will eventually make the cover, but they are a start as I learn the software. I used a masking plug-in for Photoshop called Topaz ReMask to clip the plane out of the image, then composited with various images taken from high-altitude aircraft and balloons. Then I used a nifty little tool called Neatberry PhotoStyler to create some “vintage” photos of the plane in flight. Black and white is stylish, right? I don’t quite have it to the point where the model doesn’t look like a model, yet. 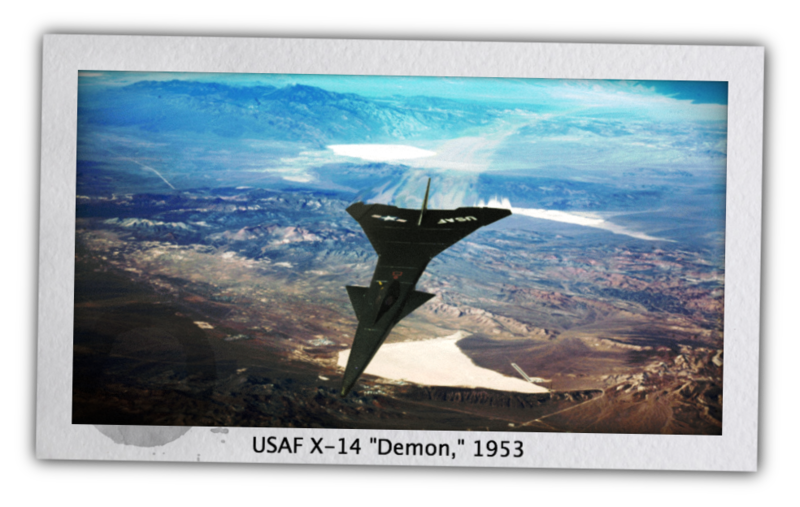 A couple of these backgrounds were shot from orbital altitude, and the Demon wasn’t supposed to be able to go into orbit…that wouldn’t be for a few years yet. I’m working on it, and it’s been great fun. I highly recommend these tools, along with Photoshop or Photoshop Elements, as software even an untrained person like me can use. You can say you saw the Demon first! You are currently browsing the The Old Gray Cat blog archives for the day Sunday, January 15th, 2012.